Ghana’s cocoa sector risks a dip if the country fails to address the politicization of the sector. 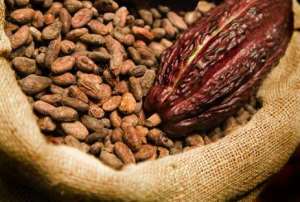 According to the International Food Policy Research Institute (IFPRI), the issue has affected the growth of the cocoa sector as politicians have over the years, used cocoa's prospects to their gain. The warning also comes at a time where government and the industry watchers are contemplating on the next move on pricing for farmers with the continuous drop in the global price of cocoa. Despite the slump in international price of cocoa (from 3000 dollars to 1900 dollars), government maintained the producer price of cocoa beans for the 2017/2018 crop season at 7,600 cedis per metric tonne. Senior Research Fellow under the Development Strategy and Governance Division at the IFPRI, Shashi Kolavalli advised government to educate farmers on the real price fluctuations on the international market to avert the perennial apprehension among them when prices begin to slide. “The current path the government is taking is not sustainable; the important thing about managing the sector is to let the farmers understand that what they get is really dependent on the market”. Mr. Kolavalli also advised that COCOBOD partners with players in the private sector to make the administration of the cocoa sector more efficient. He also advised that the country should increase its fertilizer use to boost production as well as find other means to irrigate the cocoa trees in the wake of changing rainfall patterns in the country. The post Political interference threatens future of Ghana's cocoa appeared first on Ghana News .